"Would recommend to anyone based on close location to the bea..."
Have a question for Pavillions on 1770? "Rooms and facilities are excellent." "The price was affordable and location was great." "The two pools were also fantastic." 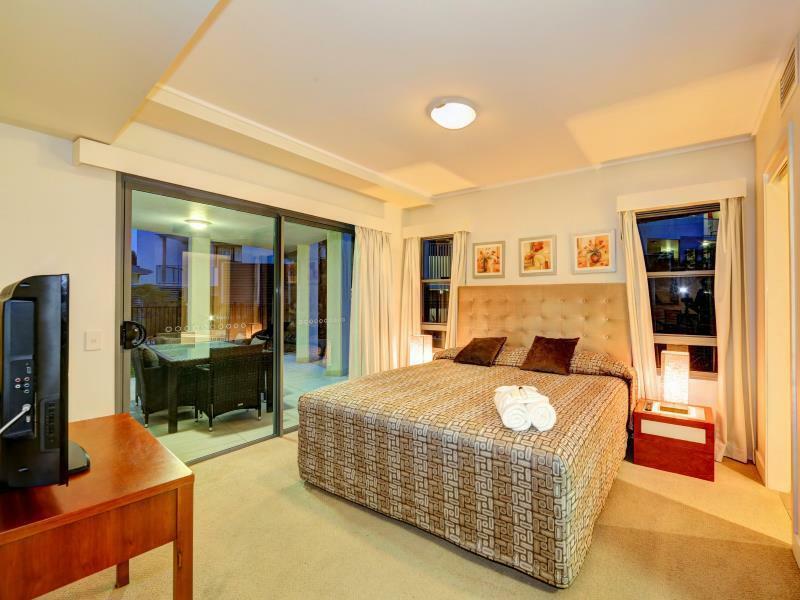 Conveniently located in Agnes Water, Pavillions on 1770 is a great base from which to explore this vibrant city. From here, guests can enjoy easy access to all that the lively city has to offer. This modern hotel is in the vicinity of popular city attractions such as Horizons Kangaroo Sanctuary, Kent Barton Art Gallery. At Pavillions on 1770, the excellent service and superior facilities make for an unforgettable stay. The hotel offers access to a vast array of services, including free Wi-Fi in all rooms, laundromat, Wi-Fi in public areas, car park, BBQ facilities. Guests can choose from 44 rooms, all of which exude an atmosphere of total peace and harmony. The hotel offers wonderful recreational facilities such as hot tub, outdoor pool, spa, pool (kids), garden to make your stay truly unforgettable. Whatever your reason for visiting Agnes Water, the Pavillions on 1770 is the perfect venue for an exhilarating and exciting break away. I loved this place. The apartment was huge, immaculate, well positioned and very well designed. 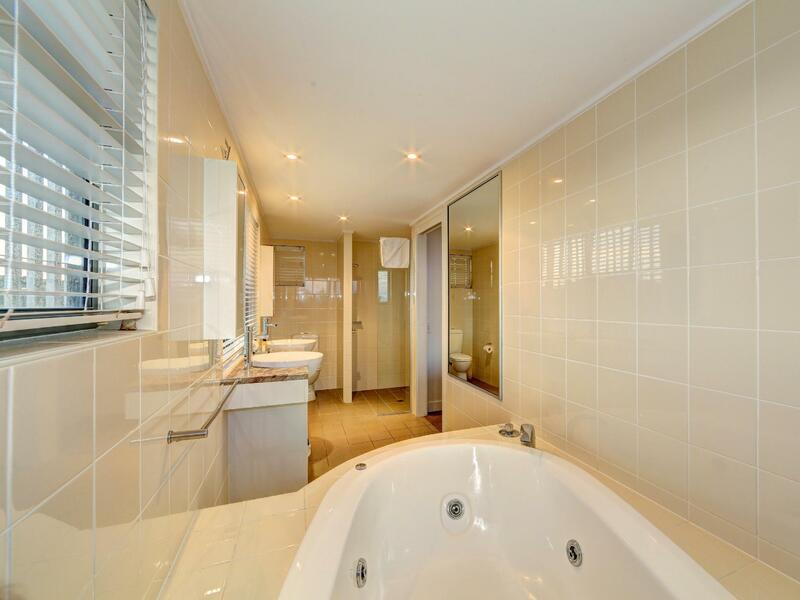 It had a very large bathroom with an enormous spa, 2 sinks and a shower. 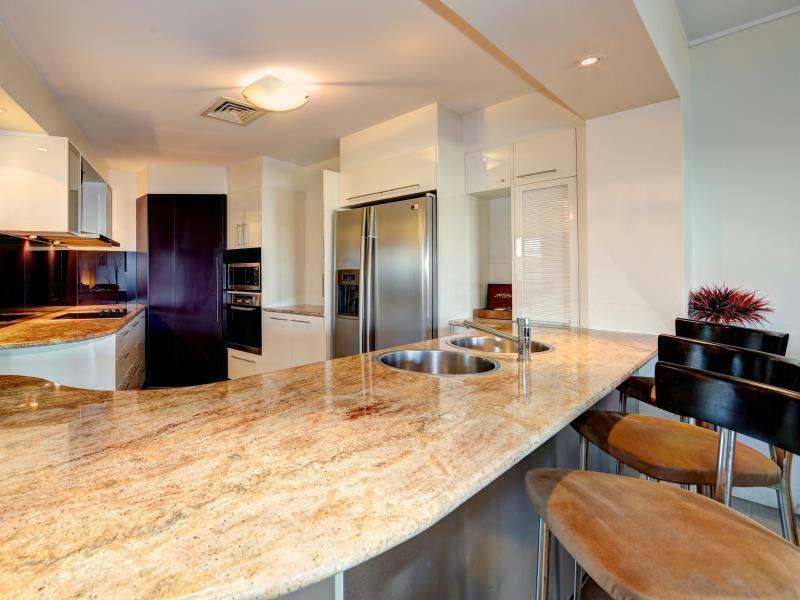 The kitchen was superb, granite tops, well designed and fully equipted. The lounge room had a very large TV plus another TV in the bedroom. I think the bed was one of the most comfortable that I have ever slept in. There was a big balcony with a BBQ and a large ding table. Lots of different pools, one being a lovely spa. A very short walk to the beach. Seriously you cant go wrong with Pavillions 1770. Pavillions on 1770, formerly a Mantra Resort, is a stunning 4.5+ star place that will blow your mind. Unbelievable facilities, air con, spa bath, multiple pools including a heated plunge pool, outdoor jacuzzi and splash pool and a lap pool to beat. Close to the beach - some of which is patrolled. Glorious throughout. Big open planned dining, kitchen and lounge area, ceiling fans, big screen TV, leather lounge and secure undercover parking which is great. A place you can come alone or bring the family for some serious R&R. If I get the chance I'll be back. Cheerful friendly staff too. Well done Pavillions! Would recommend to anyone based on close location to the beach, self contained apartment with functional layout and great views! The two pools were also fantastic. Would definitely stay here again! Rooms and facilities are excellent. We have stayed here before and will continue to return as it suits our family. The price was affordable and location was great. Our room was great for a family like ours. We look for something self contained and the outside space was great for the kids to play in. Of course the kids love the pool and it was great that the beach was a quick walk away. The huge bathroom and roomy shower were a massive plus. I loved it. Our family are talking about when we can visit again. Next time we will stay longer! The apartments are huge and the spa bath glorious! Immaculately clean and the owners were so lovely, cannot wait to return! The pool areas are fantastic, i cannot recommend this place highly enough!! fantasitic apartment with excellent view and facilities. Lovely staff. The resort is out of the way. No views from units to speak of. We were placed in a unit directly above the family pool and had squealing kids for much of the time. As a couple with no kids with us not ideal. There was barely anyone there so not like we couldn't have been located more appropriately. In house phone didn't work, 3 downlights out of order in the bathroom, no mechanical ventilation in a bathroom with no windows. The pool had a waterfall which drove us mad as did the droning motor that ran it. On from 6am to 7pm. 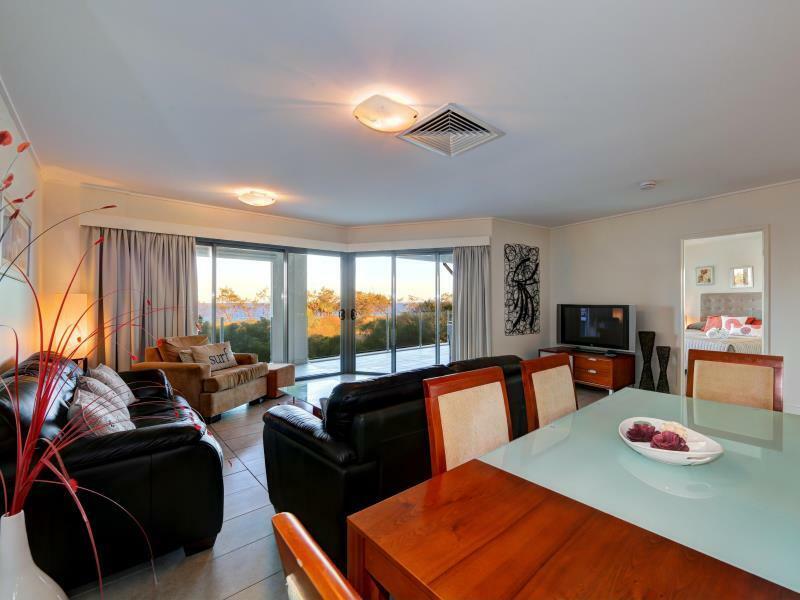 Much better places to stay at Agnes Waters / 1770. Amazing time was had by us both. Would go back again and take the kids. We had a lovely three nights leading up to the Australia Day holiday. Whilst the place was high occupancy, it was not crowded. Mostly young families, and a few friend groups. We would go back for the right price. Around 6.5 hours drive from Brisbane. 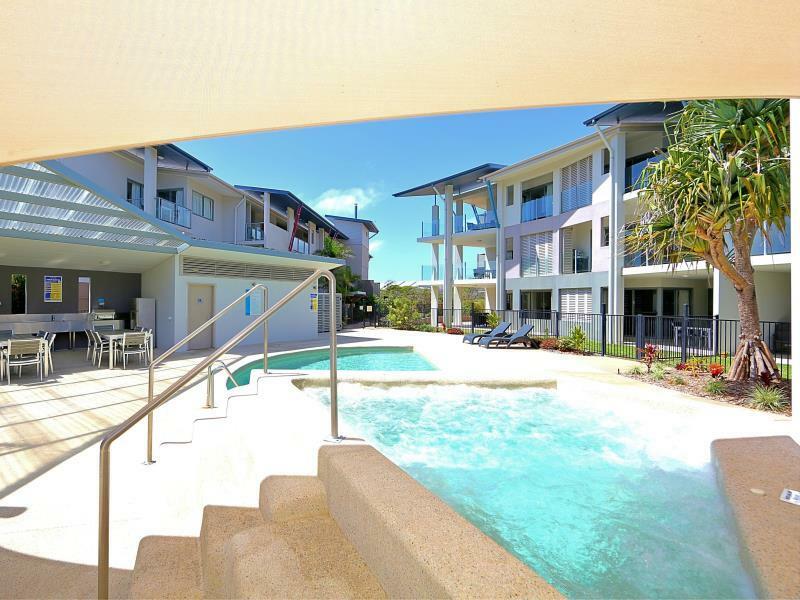 Lovely apartments (stayed in three bedroom unit); beach just outside; and pleasant pools. Very pleasant stay though central airconditioner didn't service main bedroom well. My experience at pavilions was very enjoyable and relaxing. The pool facilities are safe and the grounds are just over a sand mound from the beach. The bathroom is huge wth a large, deep spa bath, however just be careful of wetting the floor tiles as it gets very slippery. The balcony is large and complete with gas BBQ. The open plan living and kitchen space is stunning and spaceous with recliner chairs for that extra bit of relaxation. The kitchen is well stocked with all the cooking utilities, serving platters, heat pads, cutlery etc that you'll need! Including food storage containers. My fiancé and I were pleasantly surprised with the size and comfort of the apartment. We'll definitely be back.